For some time now the packaging used to ship all types of products has been going through a redesign process leading to the accelerated use of “softer” and “lighter” materials. For a growing number of products hard cardboard packaging is being replaced with soft stretch-wrap material. Many of these stretch-wrap “cases” do not even have a cardboard tray on the bottom for support. As a result, this type of packaging can be problematic for handling on powered roller conveyor, automated palletizing equipment, and on some of the most common types of package sorting equipment used in the DC. One of the most obvious consequences of the wide spread use of economical packaging is in the bulk storage of pallet loads. Whereas pallet loads of hard and sturdy cardboard cases can be safely stacked (4) loads high on the floor – are now, depending on type of packaging material, limited to just (2) loads high. Going up any higher may cause the packages on the bottom to crush creating a potentially dangerous and costly situation. One of the most obvious consequences of the wide spread use of economical packaging is in the bulk storage of pallet loads. In DCs equipped with conveyors, sorters, palletizers, and other mechanized and automated package handling systems, the amount of non-conveyable product is rapidly increasing. Some of this is the result of product downsizing, where cases and inner-pacts that were once conveyable are now too small, too light, or too flimsy to be safely transported by DC materials handling systems. Much of the problem is related to package construction that cannot properly hold the contents while being handled on mechanized/automated equipment. This is especially true as handling rates in the DC increase. Further, when these types of packages are picked-up with suction-head devices, there is a risk that the product inside will break through the bottom. This is reminiscent of the handling problems associate with poor quality rice-paper packaging that was at one time typical to products imported from many far-east countries. These packages were so bad that assuming they even survived overseas handling and shipping (which was by no means a sure bet) by the time they arrived at the DC receiving dock they needed to be re-boxed before they could be put away. The above should provide reason enough for shippers, especially those that are planning on deploying automated equipment, to give serious consideration to the equipments package handling ability. Shippers should have all products that may require special handling tested by the equipment provider before making a final decision on equipment deployment. As an example: the adjacent picture provides some idea of the range and configuration that automated sliding shoe sorters are designed to handle. Other types of sorters such as deflector, pusher, pop-up-wheel, tilt tray, cross-belt, etc., will have handling pluses and minuses based on their design, sorting rate, and cost. It’s interesting to note that the product handling advantages of the sliding shoe sorter are becoming increasingly more relevant as packaging engineers continue to push the limits of economical packaging design and construction. Once considered justified for only high throughput operations (running at 6,000 packages per hour or more), sliding shoe sorters are now being deployed for their large range product handling capability. 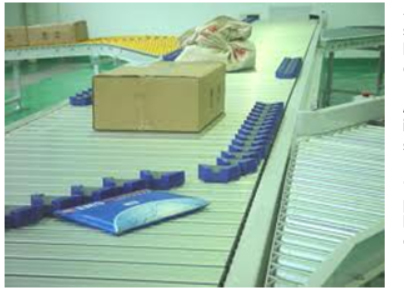 Another example of how services providers are dealing with package handling issues is the tray sorter manufactured by OPTIMUS www.optimussorters.com. Here packages are carried on trays that are equipped with a pusher. This provides a positive sort of a large variety of package types. SCD featured this sorter in our DAY 1 video presentation from Modex 2018. 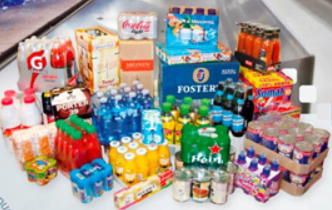 The impact of soft packaging must be factored into the design and selection of all types of mechanized and automated handling equipment especially those operating at high speeds and in hard to access areas. Transporting packages that require special handling may require a higher degree of manual interaction, perhaps being delivered to a manual sorter induction station via lift trucks or AGV systems where they can be placed directly onto the sorting equipment such as in a Good-to-Person configuration. A broad range of after-sort equipment designs, including high-density gravity roller or skate wheel conveyor and/or custom designed chutes, are available from material handling system providers to transport hard-to-handle product from the sorter to shipping. Economical packaging construction is a global initiative. Going forward material handling system providers and equipment vendors must take this into consideration when designing and upgrading warehousing and distribution systems.